They hold us up, they help us move around, they keep our organs safe, and they store important minerals. Bones: The human adult has 206 of them, from the penny-sized ossicles of the inner ear, without which we could not hear, to the femur, also known as the thighbone, the longest and strongest. They’re the basis of the body’s infrastructure, and keeping them healthy will help keep us healthy as we age. 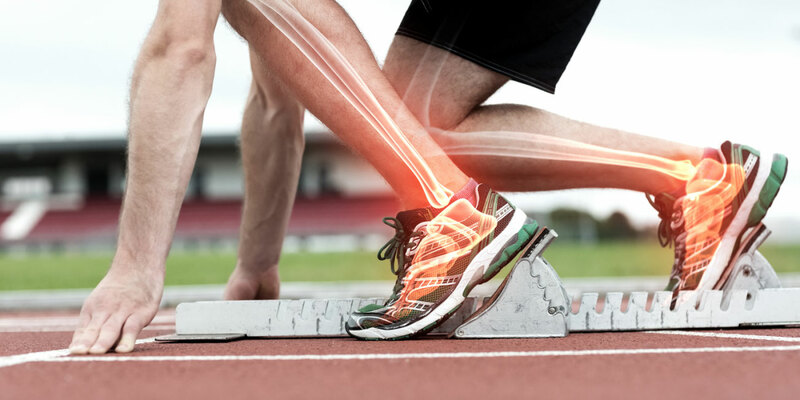 Bones change and grow throughout life—our bodies break down the old bone and manufacture new bone. But we do a better job of it when we’re young. Up to about age 30, when we reach optimum bone mass, the body is faster at producing new bone than at dismantling old bone. After that, the process reverses, meaning bones are still renewed and regenerated, but we lose more bone mass than we gain. This means the best time to shore up the bones is in childhood, adolescence, and young adulthood. The stronger they are when we hit peak bone mass, the more bone our bodies will have to draw on as we get older—and the less likely we are to develop a bone disease like osteoporosis, which weakens the bones and makes them more susceptible to breaking. That said, it’s never too late to take action to keep bones healthy and strong. Most of us know that the mineral calcium is needed for strong bones and teeth. But it plays other important roles in the body as well. It helps with blood clotting, transmitting nerve signals, squeezing and relaxing muscles, releasing hormones, and regulating the heartbeat, and is found in nerve cells, body tissue, blood, and other bodily fluids in addition to bones and teeth. The body can’t manufacture calcium. If it needs more to help with nerve, muscle, or circulatory system function, it leaches it from the bones, which is why it’s important to get your daily requirement of calcium through diet—and supplements, if necessary. How much do you need per day? Here’s a quick run-down. Children: ages 1 to 3, 700 milligrams (mg); 4 to 8, 1,000 mg; 9 to 18, 1,300 mg. Adults: ages 19 to 50, 1,000 mg; men ages 50 to 70, 1,000 mg; women 50 to 70, 1,200 mg; adults over 71, 1,200 mg.
Just eating calcium-rich foods or taking calcium supplements won’t guarantee that your bones are protected. The body needs vitamin D to absorb and use calcium, so be sure you’re getting enough through exposure to sun, foods such as oily fish and egg yolks, fortified foods, and supplements. Phosphorus and magnesium also help with calcium absorption. Get moving! Strength-building and weight-bearing exercises—walking, weightlifting, climbing stairs—will increase bone mass. Aim for 30 minutes a day. Minimize falling hazards. Falling puts you at risk for breaking a bone, especially if you have osteoporosis. So do what you can to prevent falls. Start by making your home “fall-free” by removing loose rugs, moving furniture that impedes walking, and installing good lighting. Then consider incorporating balance-building activities like yoga, t’ai chi, and dancing into your routine. Be good to your body. Don’t smoke, and limit alcohol intake. Sleep well. A recent study published in the Journal of Bone and Mineral Research suggests that the sleep disruption caused by sleep apnea can negatively affect bone metabolism. Talk to your healthcare practitioner about your risk factors for bone disease. Make no bones about it—the stronger our skeletons, the more active we can be as we age. Take steps (both literal and figurative) now to keep your bones as strong and healthy as possible.